We benefit from the knowledge and expertise of diplomats, academics and politicians in our efforts to promote the ideals and values of professional and independent diplomacy. At the European Academy of Diplomacy we had the honour to host many prominent world-leaders, opinion-makers and opinion-shakers. 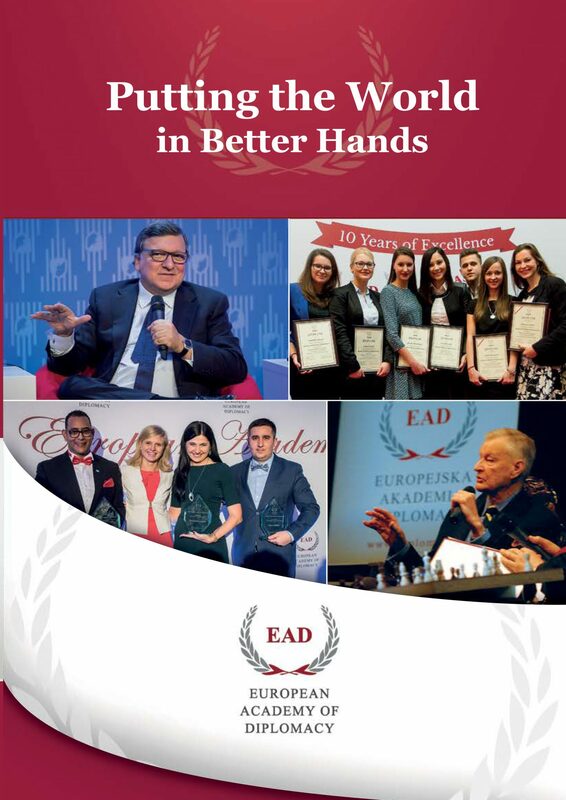 Some of our permanent and visiting speakers and trainers are members of the EAD International Honorary Council or the EAD Council of Ambassadors. The members of the Council support the Academy with their knowledge and experience in adjusting the EAD’s programs to current challenges of modern diplomacy.